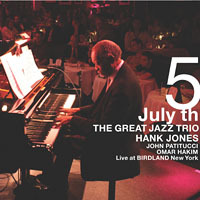 Recorded live at Birdland, New York, on July 5, 2007. Pure DSD Recording. This Hybrid SACD contains a stereo SACD layer, a five channel SACD layer and a stereo CD layer. It plays on any regular CD player as well as on SACD players.